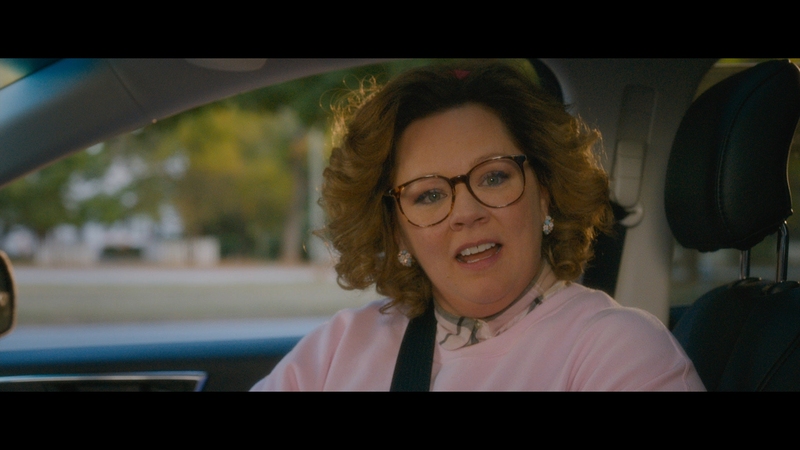 More a miss than a hit, Life of the Party is a comedy vehicle built explicitly for Melissa McCarthy’s talents. 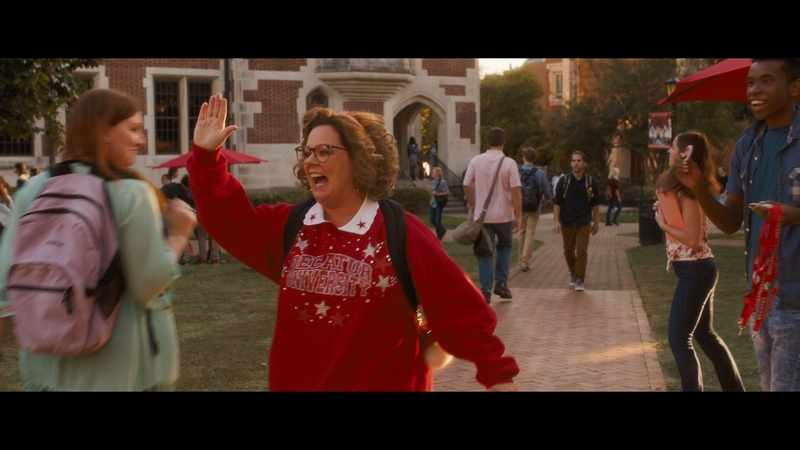 Your reaction to the movie will depend almost entirely on how much you want to see Melissa McCarthy play a housewife embracing the excesses of modern campus life. This is not one of the stronger comedies starring the actress as the movie plays it safe most of the time. Often at her best bouncing off a charismatic co-star, McCarthy’s antics don’t work as well in this solo vehicle lacking a legitimate co-star. Directed by McCarthy’s husband Ben Falcone and co-written by the couple, the tepid PG-13 humor is surprisingly timid and soft for a comedy clearly aimed at older adults. This isn’t the sharp, smart Hollywood comedy that McCarthy has usually starred in the past few years. The material feels like some of her punches have been pulled, possibly ensuring a wider female audience at the cost of funnier bits. The estrogen-driven film’s cast includes Gillian Jacobs (Community), Maya Rudolph, Julie Bowen and Molly Gordon. Life of the Party’s basic formula isn’t new or fresh. Going back as far as Rodney Dangerfield’s Back To School, sending an older middle-aged person to college has been well-worn comedy fodder in Hollywood. The “fresh” twist here is supposedly the gender inversion of the protagonist. Loving housewife and mother Deanna (Melissa McCarthy) gets dumped by her husband Dan (Matt Walsh) right as their daughter Maddie (Molly Gordon) enters her senior year of college. Looking to finish off the college degree she never got to complete after getting pregnant, Deanna re-enters college alongside her daughter. The mom finds out that college life has more to offer than just studying for a degree. Soon she’ll be partying with her daughter’s sorority friends and finding love with a much younger college hunk in the movie’s most ridiculous recurring sub-plot. Her stodgy “mom” values will quickly get replaced with a party girl attitude. There are some fun moments in Life of the Party. 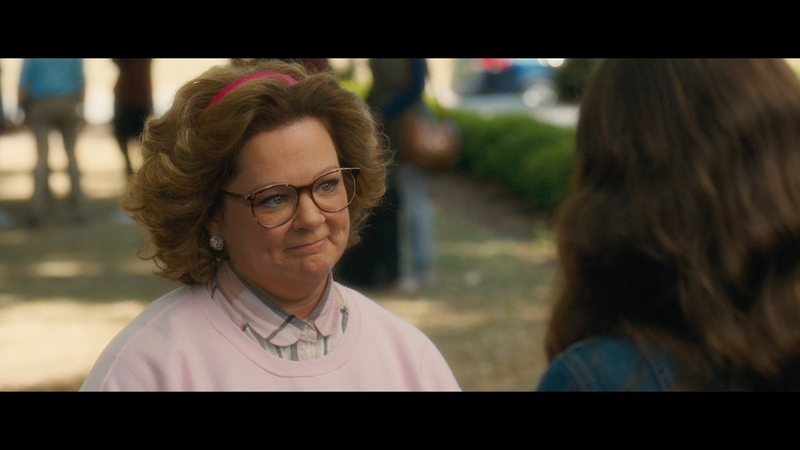 Melissa McCarthy hams it up to a tee when the sorority has a throwback 80’s party. If you want to see Melissa McCarthy popping and locking after doing the Worm, look no further than this movie. There are also some deliciously funny exchanges between Dan and Deanna as they bicker over their divorce, a problem only because they demonstrate far better comedic chemistry than other characters and their relationship doesn’t receive much focus. Instead we get scene after scene of Deanna hanging out with her daughter and the sorority, most of which is predictable and lame. The supporting cast of characters are surprisingly dull and underwritten, outshone by McCarthy’s energy and presence. Given very little to work with, Gillian Jacobs doesn’t bring the same enthusiasm and charisma she had on Community. I can’t blame Gillian, the character is a one-note joke. Her character has developed a huge social media following for being in a coma for eight years. 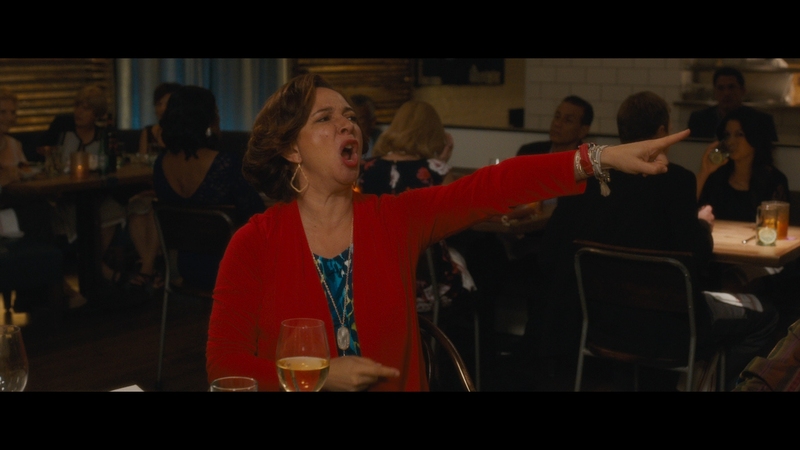 Maya Rudolph is the one cast member that actually tries out-hamming McCarthy herself as Deanna’s best friend. The other characters are just kind of there to provide a few cheap punch-lines and throwaway jokes. A “surprise” appearance by Christina Aguilera feels like a cheap gimmick more than a comedy-driven idea. Life of the Party is a harmless, mostly forgettable comedy with a few great bits and a whole lot of nothing in between. The ramshackle script gives a feel that much of it was improvised on the spot by Melissa McCarthy, which leaves everyone else standing around in a daze. The execution isn’t perfect but McCarthy’s fans will like enough of the movie to make it worth their time. WB provides a serviceable Blu-ray presentation for a movie that was likely nerfed in post-production by its producers. Possibly feeling her age with all these younger co-stars, the entire movie has been de-focused and filtered for Melissa McCarthy’s benefit. What helps take the years off her appearance softens everything about the picture quality around it. The clarity and contrast are fine, left mostly unaffected by the digital processing. The Hollywood comedy has all the touches of a modern movie with a glossy, high-impact studio production aesthethic. Flesh-tones have a slight magenta push to the otherwise normally saturated palette. The main feature runs 104 minutes on a BD-50. Encoded in a high-bitrate AVC encode, the picture quality in 1080P resolution has adequate definition for a new production. As mentioned, fine detail has been smoothed out to give everyone a more youthful appearance. 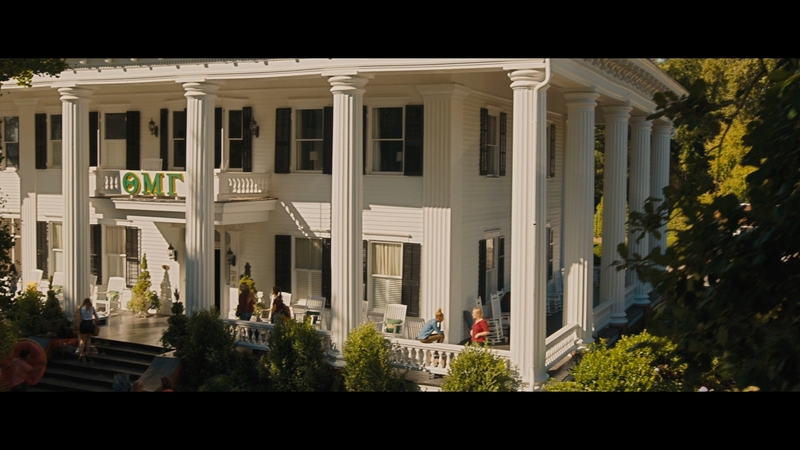 That leads to softer visuals than we’ve come to expect from Hollywood movies on Blu-ray. Everything has an even, clean consistency with decent black levels. The comedy was not shot with videophiles in mind and has satisfactory PQ for a comedy aimed at middle-aged viewers. The primary 5.1 DTS-HD MA soundtrack is fairly ordinary by today’s home theater standards. It contains a basic surround mix with clean fidelity and intelligible dialogue. The audio design is limited with few real moments of immersion outside of the big party scenes. The occasional Pop music song adds a little atmosphere but Life of the Party doesn’t have exciting audio. Optional English SDH, Spanish and French subtitles play in a white font. They reside inside the 2.39:1 widescreen frame at all times. Dubs include French (Canadian) and Spanish in Dolby Digital 5.1 at 640 kbps. An English Descriptive Audio track is also included. Warner’s combo set includes the movie on Blu-ray, DVD and a Movies Anywhere digital copy in HDX. A regular slipcover is available for first pressings. Only a couple of brief featurettes make it, but nearly fifty minutes of finished deleted scenes round out this set of special features. Considering that Melissa McCarthy and her husband wrote this movie as a comedy vehicle for her, the lack of a commentary is surprising. ’80s Party (04:51 in HD) – A quick peek behind the scenes filming the party scene with various cast members discussing their knowledge of the 1980s (several of them hadn’t been born yet). The glossy featurette has a fun vibe. Mom Sandwich (02:45 in HD) – Melissa and Ben Falcone discuss how one character was directly inspired by her own mother’s fondness for making sandwiches. Deleted Scenes (46:36 in HD) – Eighteen fully realized scenes cut from the movie. This is a lot of deleted content by today’s standards and gives some insight into the comedy’s haphazard creation. Some of it is funny, but the movie is already too long at nearly two hours. Including some of this stuff would have made it a complete bore. Line-O-Rama (03:02 in HD) – A series of ad-libbed lines creating different jokes for specific scenes. Bill Hate-O-Rama (02:44 in HD) – More ad-libbed content at the restaurant gathering. Full disclosure: This Blu-ray was provided to us for review by the label. For information on how we handle all review material, please visit our about us page to learn more about DoBlu’s editorial policies. A lame Melissa McCarthy comedy vehicle that forgets you need more than one funny character to pull off a decent comedy. The 15 unaltered images below have been taken directly from the Blu-ray. For an additional 13 Life of the Party screenshots, early access to all screens (plus the 13,000+ already in our library) in full resolution, fifty exclusive 4K UHD reviews, and more, support us on Patreon.